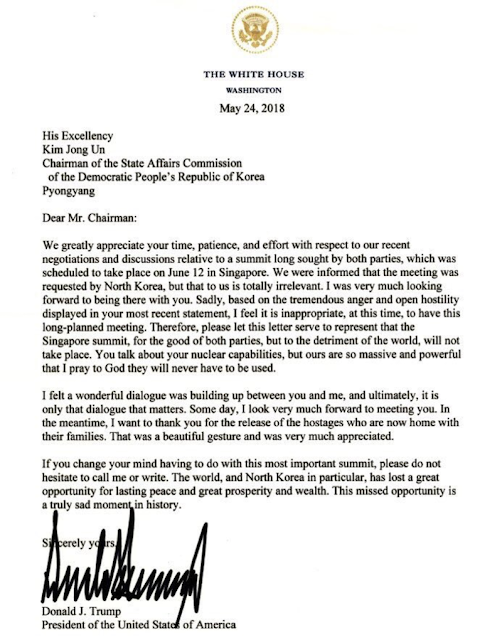 President Donald Trump has canceled his meeting with North Korea leader, Kim Jong Un, next month. 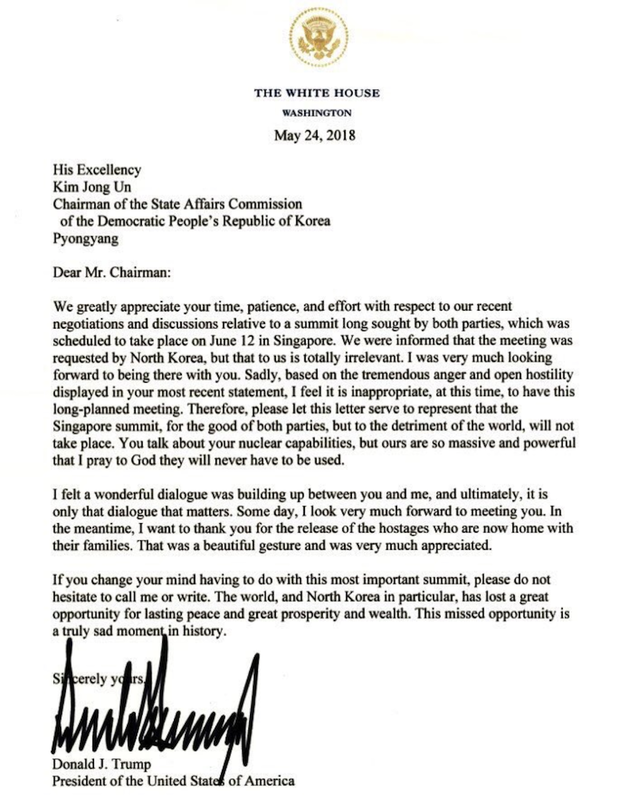 He announced this on twitter by posting a letter sent to Kim by the White House Thursday morning. 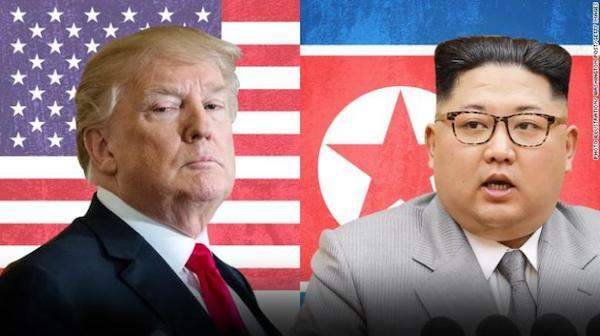 He said the decision amounted to a “tremendous setback” and warned North Korea that the US military is ready to act should Pyongyang take any “foolish and reckless” action.